On this day in history, August 15, 1782, the Siege of Bryan's Station begins. 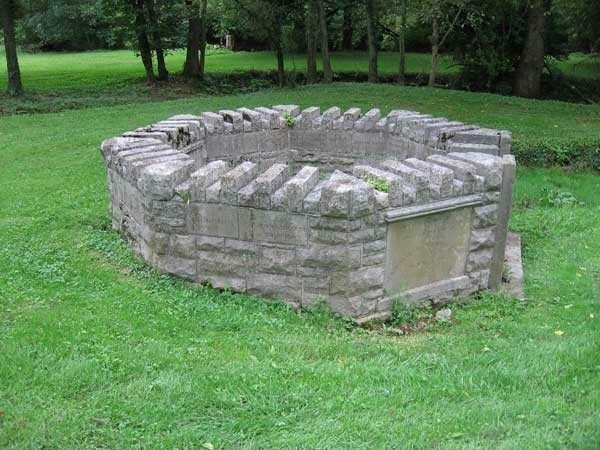 Bryan's Station was a fort at the top of a hill with about 40 homes insides its walls near Lexington, Kentucky. Down the hill was Elkhorn Creek with a nearby spring the settlers used for water. In August of 1782, 500 Indians and British soldiers marched into Kentucky, planning to capture Bryan's Station and others. 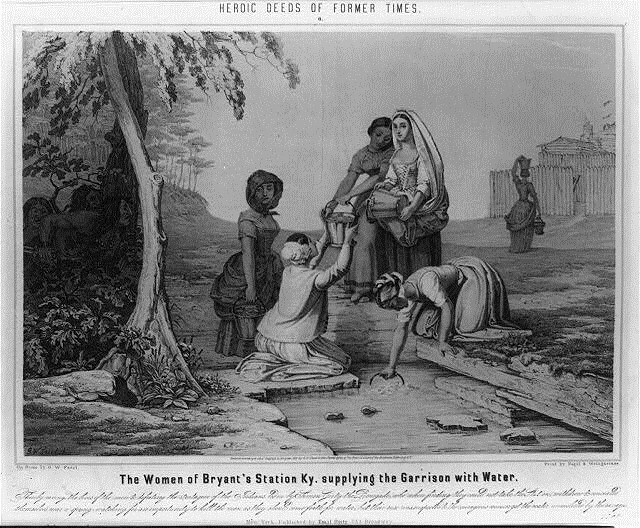 In the morning, a plan was devised to send out the women to gather water at the spring, just like they did every morning. The Indians would not attack because they didn't want to expose themselves by attacking the women only. The brave women marched to the spring and pretended that everything was as usual. As they filled their vessels, they stood within a few feet of hundreds of hiding Indians. After they safely returned to the fort, everyone celebrated, but the Siege of Bryan's Station was not over. That evening, the Indians met and decided the fort was impregnable without artillery to breach the walls. On the morning of the 17th, when the settlers arose, the Indians had abandoned their camp. More militia arrived at Bryan's Station to defend the fort over the next few days and a large party went after the Indians. Unfortunately, the Indians ambushed them at Blue Licks, in the worst defeat on the western frontier during the American Revolution, before returning to their homes in the Ohio country. The massive force that laid siege to Bryan's Station and inflicted the devastating defeat at Blue Licks proved to be the last major Indian invasion into Kentucky. Individual settlers suffered at the hands of Indians for years to come, but the largest Indian battles in the Kentucky territory were now in the past.